Oscar Miro-Quesada Solevo is a respected kamasqa curandero and altomisayoq adept from Peru, founder of The Heart of the Healer (THOTH), and originator of Pachakuti Mesa Tradition cross-cultural shamanism. An internationally acclaimed shamanic teacher and healer, earth-honoring ceremonialist and author, don Oscar is an OAS Fellow in Ethnopsychology and member of the Evolutionary Leaders Circle and Birth 2012 Welcoming Committee. He is the co-author of Lessons in Courage: Peruvian Shamanic Wisdom for Every Day Life. ​Don Oscar has dedicated his life to the revitalization of aboriginal wisdom traditions as a means of restoring sacred trust between humankind and the natural world. A seasoned navigator of non-ordinary states of consciousness, don Oscar helps people from all walks of life access realms of Being through which multidimensional powers and forces are available for healing self, others and our planetary ecosystem as a whole. 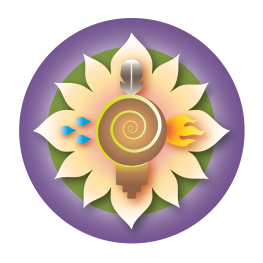 ​Oscar has been facilitating experiential workshops and apprenticeship series of workshops that integrate millennial and contemporary healing practices and Earth-honoring ceremonial traditions with a focus on the creation of heartfelt sacred communities around the world since 1979. He has also been guiding exemplary cross-cultural shamanic apprenticeship expeditions to sacred sites of the world (with special emphasis on Peru and Bolivia) since 1986. His widely acclaimed ethnospiritual pilgrimages to ancestral lands are carefully designed to awaken a reverent awareness of Pachamama (“Earth Mother”) as a vital evolutionary dimension to human experience. Through dedication, example and infinite patience, don Oscar has spend decades and countless hours in sacred earth honoring healing hoops with earnest students of this Great Work. As a result, the Pachakuti Mesa Tradition has birthed teachers from all over the globe who offer ceremonies and apprenticeships in these sacred shamanic arts.